To search the database for the type of accommodation that exactly matches your requirements, use the boxes below. Uniquely different and scenically located, the safari lodges are located within the national parks and reserves. Presented in classic African style, they offer charming rooms, outdoor swimming pool areas, atmospheric dining, ‘sundowners’ (within the lodge or in the surrounding scenery), game drives, guided walks and cultural visits. Ideally located and presented in the time-honoured ‘Out of Africa’ style, these special luxury tented camps (sometimes also called lodges) have little to do with ‘camping’ and everything to do with atmosphere. Usually comprising a central dining and bar area, they are typically surrounded by widely spaced permanent ‘tents’ (with thatched roofs, in-built ensuite bathrooms, luxury furniture and generator-electricity), and often feature a campfire area and/or game-viewing platform or water-hole. A limited number of lodges are offered (many of them located on private community ranches), which have been designed and built by the local community using ecologically friendly materials, traditional art and décor, and sustainable energy. Many specialize in unique diversions such as camel treks, visits to cultural villages or authentic dance performances; and all proceeds are shared with the local community and/or devoted towards the preservation of the wildlife and environment. Some of our adventure travel choices feature private tented camps, which are pitched in specific locations within the national parks and reserves. Tailor-made to our client’s specifications, they feature luxury tents, ‘safari’ kitchens, beautifully-presented central ‘mess tents’, and central campfire and ‘sun downer’ areas. Bathroom facilities vary from camp to camp (see the specific information offered on your itinerary). East Africa’s city hotels as well as beach resorts offer extremely high standards of service and are comparable to the best hotels anywhere in the world. All offer ensuite rooms, most with verandas, air-conditioning or fans and mosquito nets; global communications, business centres, swimming pools and extensive grounds. 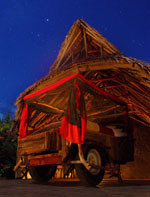 Many offer nightly African cultural entertainment, especially on the coast. The better East African hotels and resorts offer either fitness centres or spa facilities. Typically these will include; a gymnasium, an aerobics studio (offering a wide range of classes from body sculpting to Tai Chi), a juice bar, steam and sauna, sun-deck and pool. Clubs will also typically offer; tennis (usually flood-lit), squash, table-tennis, volleyball.